The old adages of “pitching wins baseball games” and “solid defense is the best offense” — and whatever other over-used saying you can possibly think up — seem to not apply to the Giants. Well, at least not in their first several games of the 2014 season. After a dismal 2013, one of many focuses headed into the new season has been getting back to the basics. A great starting rotation is a huge part of that. So far, San Francisco’s starting rotation has been lukewarm at best. But they’re still cranking out victories because they have run support. Last year’s super ace Madison Bumgarner wasn’t his sharpest in the season opener, only making it through four innings and giving up six hits. He’ll need more starts like the one he had against the Los Angeles Dodgers, when he tallied his first win and whittled his ERA down to 1.74. Matt Cain also had to grind through his start, which came as a surprise after he looked like he was back to his old shutdown ways during Spring Training. The two big question marks in the five-man rotation, Tim Lincecum and Ryan Vogelsong, performed better than expected despite giving up two homers a piece. But both still have plenty of room for improvement, and need to crank out more innings per start. The only starter to go deep into a game and give the bullpen a breather was new guy Tim Hudson, who quieted Arizona’s bats through seven innings. Even with the starters not playing to the level that the team expects, the Giants are still winning, something that did not happen last season under the same circumstances. Having heat at the top of the batting lineup is a good start to all of that. Angel Pagan brought swagger and silken locks back to the leadoff spot, and he’s been on a hot streak since the season opened up, batting .391 with seven RBIs and a home run to boot. Having to platoon second base has gone well so far because all the guys being plugged into that spot have been hitting, no matter where they are in the batting lineup. Ehire Adrianza has continued to impress, not just on defense but also off the bench. Sleeper newbie Brandon Hicks has been on fire as well, even notching a home run against the Dodgers in an 8-4 win Friday in Los Angeles. 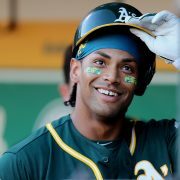 While we’re on the subject of Brandons, Belt needs to keep up his current hot streak at the plate to force his toughest critics to stick a foot in their mouths — or at least fill their traps with free sandwiches from The Melt, whichever comes first. All three of the Brandons have impressed working behind the Giants’ as well. Admit it, you’ve re-watched that Belt-to-Crawford-to-Hicks picks pick off of Yasiel Puig a couple times on repeat. Michael Morse only just found the long ball but has contributing offensively with four hits and four RBIs in five games played. Just imagine how much this team could dominate when all starting five are all pitching well. 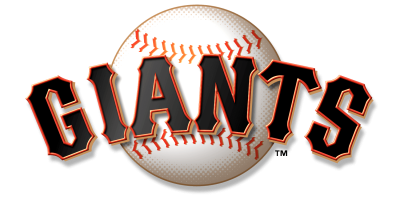 Follow @SFBay and @ChelenaGoldman on Twitter and at SFBay.ca for coverage of the San Francisco Giants and Oakland A’s.